Handcrafted fine roasted cocoa beans, enrobed with 70% cocoa dark chocolate and lightly dusted with natural cacao powder. 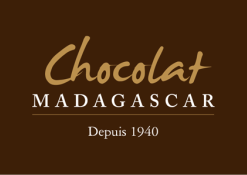 Ingredients: whole roasted Madagascar cocoa beans, Madagascar dark chocolate (cocoa mass, cane sugar, cocoa butter, GMO free sunflower lecithin. Cocoa Solids 70% minimum), natural Madagascar cocoa powder. Allergy advice: See the ingredients in bold. May also contain cashew nuts and milk.